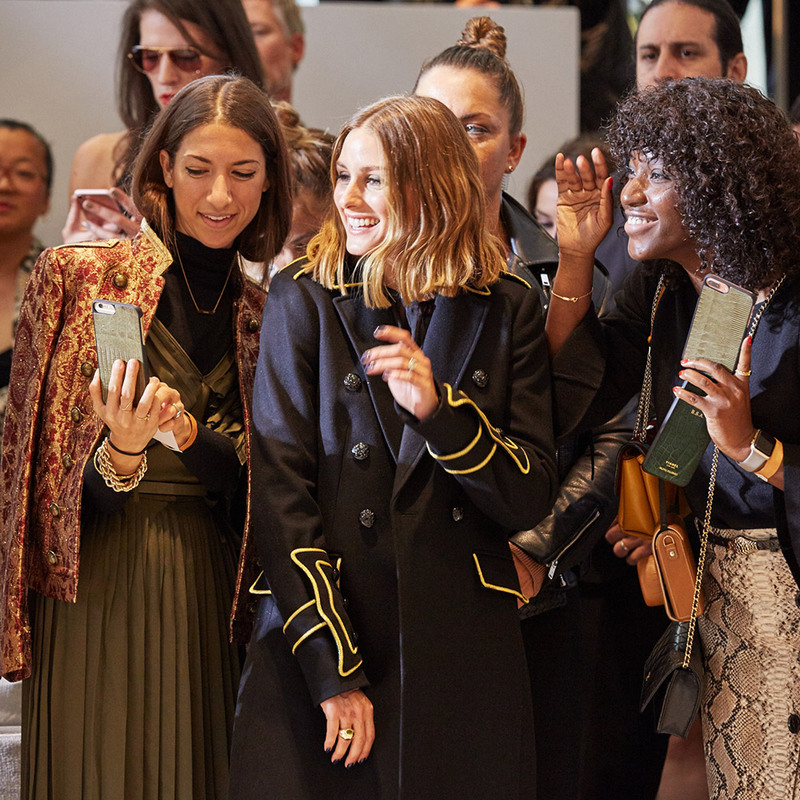 On Saturday, excitement was at an all-time high as our global style ambassador Olivia Palermo prepped for the NYFW debut of her first Banana Republic collection. 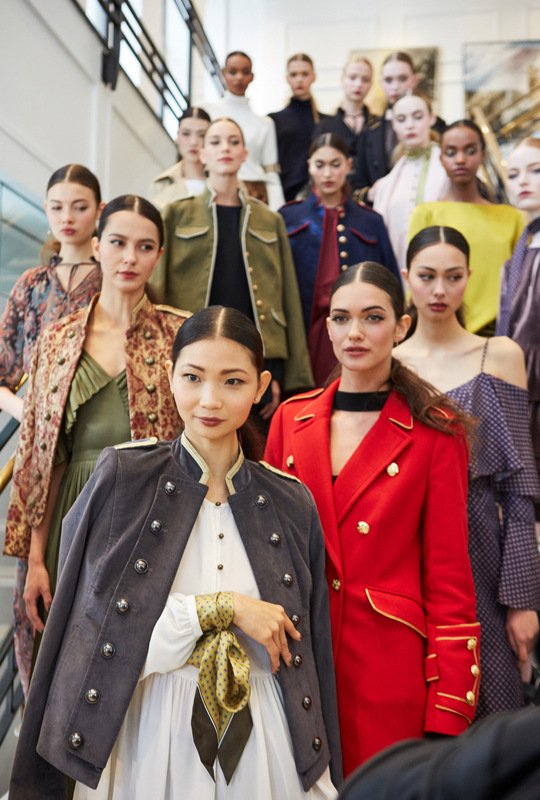 Arriving in a chic military-meets-sportif look, the New York-native buzzed around backstage primping models, before showing the world what she’s been working on for the past nine months. Olivia puts the finishing touches on each model before sending them down the runway. A bold brow, slight cat eye and perfect pout complete the look. Makeup by Stila Cosmetics. Forming a line around the block, fans gather to meet Olivia and get a sneak peek of the collection. The excitement builds as the models wait for the show to begin. Brocade Military Jacket, Pleated Off-the-Shoulder Maxi Dress. Cable-Knit Turtleneck with Lace Accents, Snake-Effect Leather Sleeve Belt Set, Snake-Effect Italian Leather Button-Wrap Skirt. Paisley Tie-Neck Dress, Leather Crop Flare Pant. Tie-Neck Dress, Lace Corset Waist Belt. Tiered Velvet Shirtdress, Foulard Skinny Silk Scarf. Pleated Bell-Sleeve Top, Skinny Triple-Wrap Trouser Belt, Pleated Wrap Skirt. 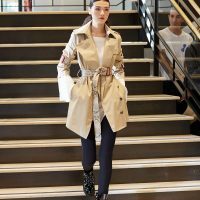 Asymmetrical Trench Coat, Snake-Effect Leather Sleeve Belt Set, High-Waisted Skinny Corduroy Pant. Corduroy Military Jacket, Gathered Empire Blouse, Ryan-Fit Tuxedo Stripe Pant. 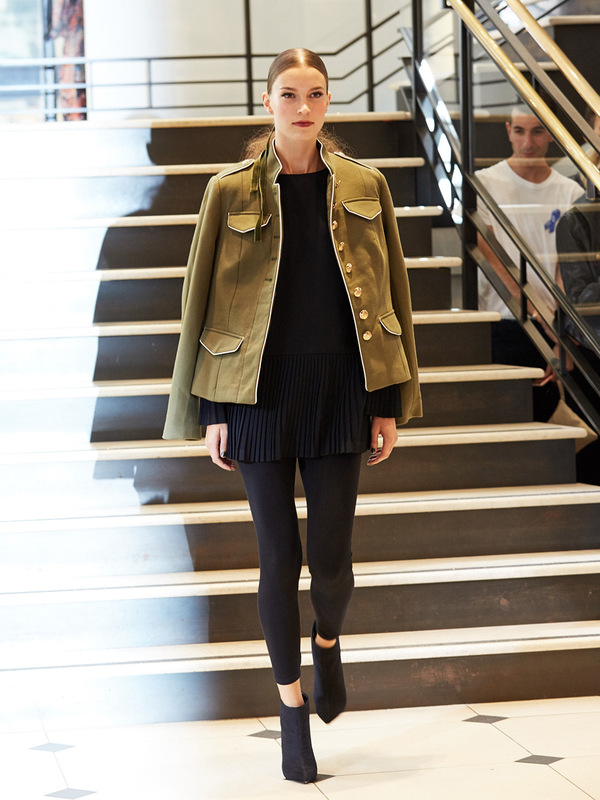 Belted Military Jacket, Tiered Bell-Sleeve Top, High-Waisted Skinny Corduroy Pant. Belted Military Jacket, Bias-Cut Strappy Tunic, Bias-Cut Skirt. Pleated Bell-Sleeve Top, Snake-Effect Leather Sleeve Belt Set, Metallic Brocade Military Skirt. Ruffle Accent Topcoat, Gathered Empire Blouse, High-Waisted Skinny Corduroy Pant. The models pose for the finale. Shop the new Banana Republic x Olivia Palermo Collection before it sells out.